These Terms and Conditions set out the contractual relationship between VIPupgrades.com and each individual Member of VIPupgrades.com. “Services” means the benefits, services, rewards and facilities from time to time available to Members whether provided by VIPupgrades.com or service partners. Individuals who are 18 years of age or over may apply for membership. Iran, North Korea, Myanmar, Libya, Belarus, Cuba, Sudan, Yemen, Mali, and Iraq. Membership is not open to companies, partnerships, unincorporated associations or similar entities. 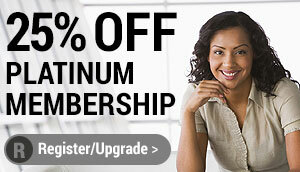 To apply for membership an individual must apply online at VIPupgrades.com. Membership applications must state the applicant’s full name and preferred region for correspondence. The preferred region determines the applicability of any local rules or restrictions relating to the Services and eligibility for local promotions or the Services. Members cannot state more than one preferred mailing address. Membership is offered at the discretion of VIPupgrades.com and VIPupgrades.com may refuse Membership to any applicant. Applicants accepted as Members will be given a Membership number and may be provided with a Card. Multiple Membership is not permitted and each Member must maintain only one account. In the case of duplication of Membership, all Memberships (other than the first Membership approved by VIPupgrades.com) will be cancelled as will any benefits accrued. Members cannot transfer Membership registration between countries in which VIPupgrades.com operates more than once in every six months. Membership will terminate automatically upon the death of a Member and their account shall be cancelled. In addition to any other rights or remedies it may have VIPupgrades.com reserves the right at any time in its absolute discretion to terminate the Membership of any Member and/or (if applicable) the right of any Member to use the Services if a Member commits fraud, misconduct, is given a banning notice or withdraws their consent under these Terms & Conditions. VIPupgrades.com may terminate Membership and/or the Services at any time upon giving 10 days email notice to all Members. No compensation of any kind will be paid. In the event of the termination of Membership the Card (if applicable) must be returned to VIPupgrades.com. Data collected when the Member is otherwise in contact with VIPupgrades.com or a Service Partner. the processing of any sensitive data included in their data (such as data revealing a medical condition or religious belief). any other purpose which is obvious or is communicated to the Member. Consent to receive marketing and market research communications under is requested at the time of enrolment and may be given by the Member subsequently. Where consent is given it may be withdrawn by the Member writing to the local service centre or by any other means for withdrawing consent made available by VIPupgrades.com from time to time. Members are responsible for the security of their online logons and passwords and VIPupgrades.com shall have no liability in the event that a Member’s logon and/or password is disclosed by the Member, whether intentionally or not, so as to allow a third person online access to the data and to make any transactions. VIPupgrades.com reserves the right to block online access to data by or through any third party website not authorised by VIPupgrades.com. VIPupgrades.com will not be liable for any loss or damages resulting from suspension, alteration to, or termination of the programme or the right to any of the services. VIPupgrades.com will not be liable for any Loss if, by reason of local legal or regulatory prohibitions or restrictions, VIPupgrades.com or the whole or any part of the Services cannot be made available in certain countries or to certain Members. EXCEPT AS EXPRESSLY PROVIDED HEREIN, VIPUPGRADES.COM DOES NOT MAKE ANY WARRANTIES OF ANY KIND, WHETHER EXPRESS, IMPLIED, STATUTORY OR OTHERWISE, AND VIPUPGRADES.COM SPECIFICALLY DISCLAIMS ALL IMPLIED WARRANTIES, INCLUDING ANY WARRANTIES OF MERCHANTABILITY OR FITNESS FOR A PARTICULAR PURPOSE, TO THE MAXIMUM EXTENT PERMITTED BY APPLICABLE LAW. VIPupgrades.com will not be responsible for late, lost or misdirected email. To the extent permissible by local law or regulation these Terms and Conditions shall be governed by and construed in accordance with English law. VIPupgrades.com and each Member submits to the non-exclusive jurisdiction of the English courts to resolve any disputes that may arise out of them. VIPupgrades.com is not a members’ or proprietors’ club.